Some vineyards have a soul. Some vineyards when you go there you just connect with. 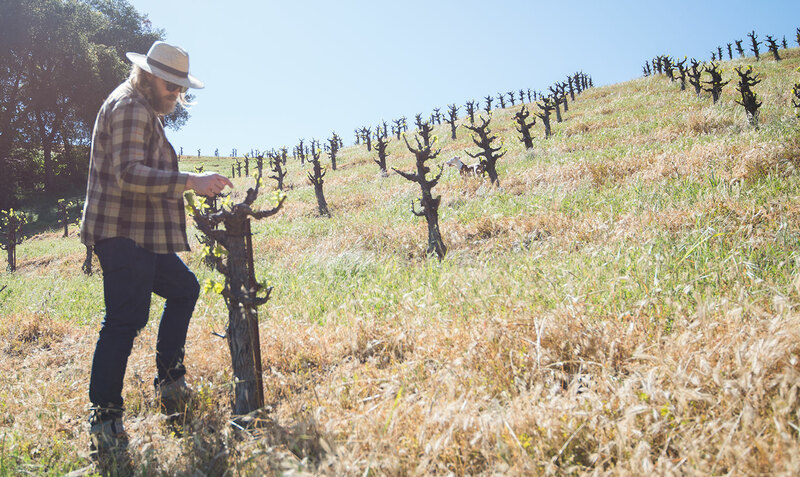 There are three contributions to what makes a vineyard have this impact. The way it’s farmed, the land under and around you, and the people that farm the land. The first two aspects are the easiest qualities to achieve. 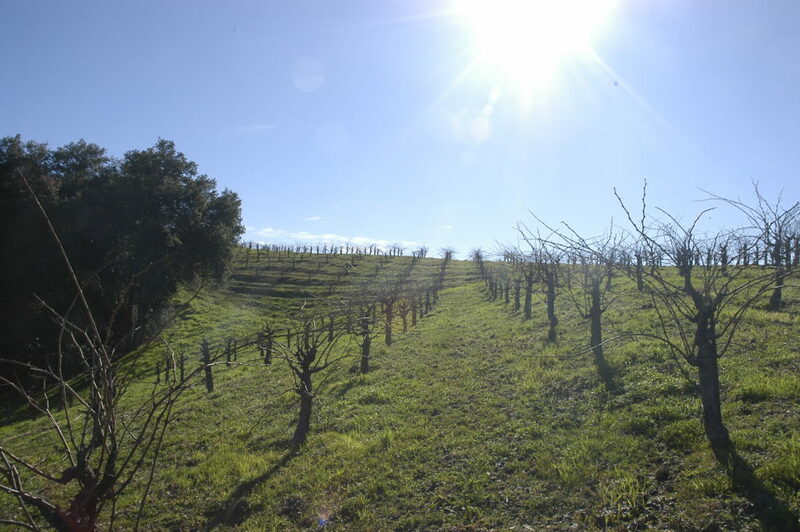 Buying a cool piece of land, planting and properly farming a vineyard isn’t that hard. If you have the capital you can do that. But when the land is owned and operated by people that care, that put in the work, and that this is their livelihood. It just has a different feel. Wills Hills Vineyard on Willow Creek Road has all three of those qualities and then some. I am lucky enough to be able to get Grenache from this vineyard. The best thing about how this vineyard is farmed is that it is Dry-Farmed. No irrigation whats so ever. Dry-Landers as they like to put it. With a grape like Grenache this is so ideal. 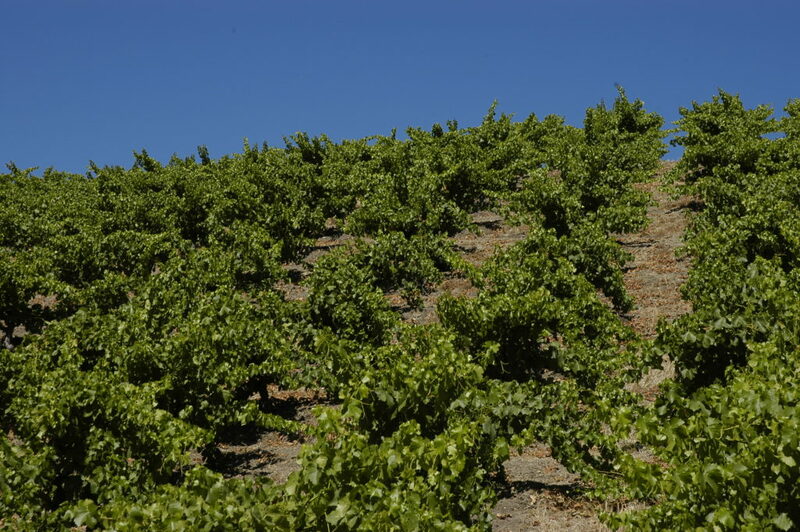 Grenache is prone to making huge clusters that can be thin skinned and light in color. When dry farming the grapes clusters stay smaller, making the skins thicker. Making it have better tannin and color as a result. Thus a more interesting wine. This vineyard is also Head-Pruned. Meaning it is not trellised in such a way that is more typical. Rather than being in a row where each vine connected to the next. These vines are attcahed to one stake and grows more like a bush. With the canes basicly falling to the ground. This provides Grenache with much needed protection from the sun. Grenache grapes are the equivalent of a ginger. It can not handle too much sun. Not to mention it is a more natural position for the vine itself. Head pruned vines just look more relaxed then it’s VSP commerads. Now the land itself is more than special. This particular part of Paso Robles is as good as it gets. Warm enough to allow grapes to become ripe and cool enough to preserve acidity and not ripen too fast. Shale and limestone is no stranger to this area. Help making Dry-Farming possible and also help the grapes retain acid. One of those planets aligned kind of locations. Not to mention the scenery itself. It’s just a beautiful piece of property. It’s not hard to find a reason to go “check” the vineyard.